My future mother-in-law chose a beautiful cookbook for my Christmas gift this year. 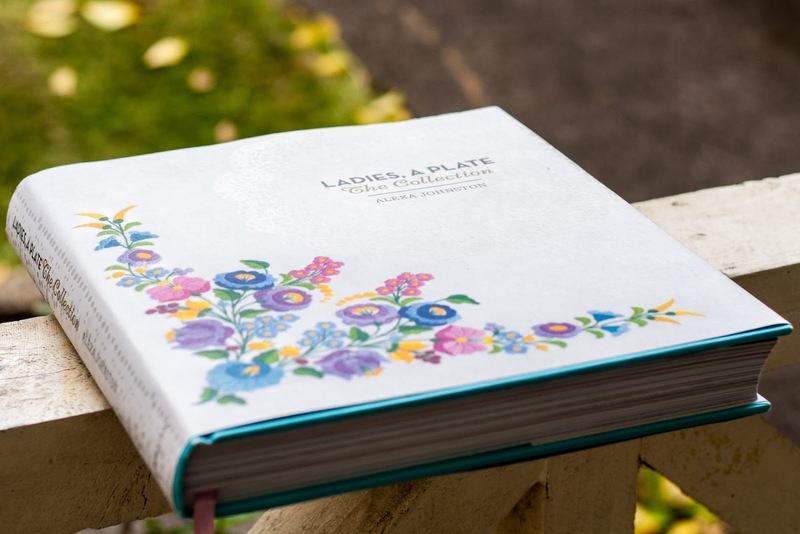 Ladies, A Plate is a stunning book in many ways. The premise is that traditionally when Kiwi ladies got together, they would be asked to 'bring a plate' - with something on it, of course! So this is a collection of recipes typical of these gatherings, grouped into categories like Savouries, Small Cakes, Squares and Slices, etc. The content was sourced from personal notes and community recipe books kept by New Zealand women over the last hundred years or so. 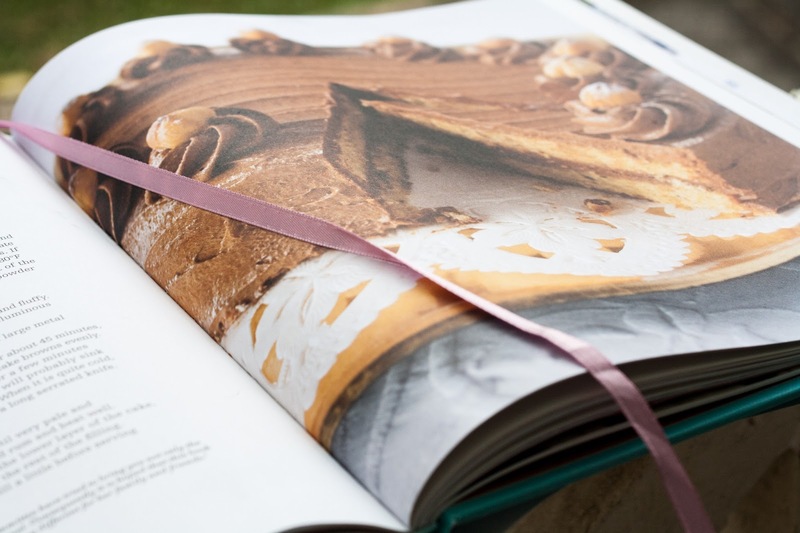 Sometimes there is a photograph of the handwritten notes, or additional information about particular recipe books. 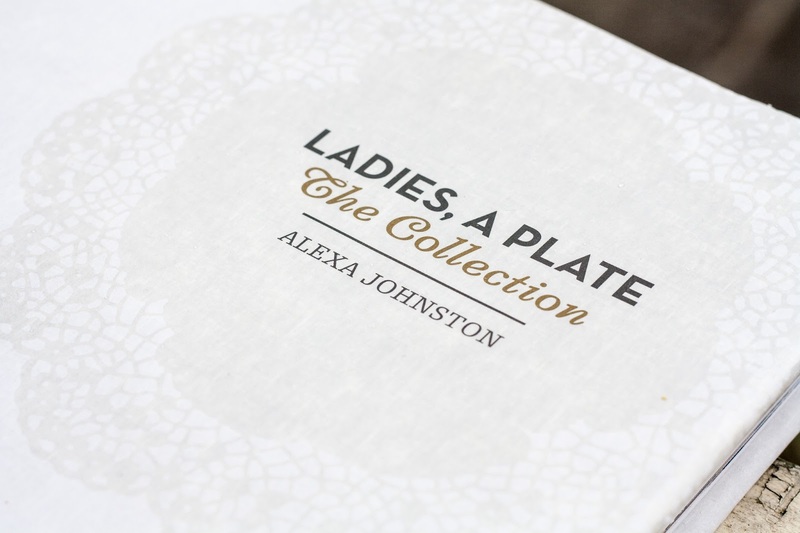 The author (Alexa Johnston) also includes personal anecdotes about trying or adapting these recipes as her cooking has evolved. Every recipe has a gorgeous accompanying photo. While flicking through this book on Christmas Day, Nanna Dorothy remarked that it was nice to see pretty photos, as opposed to the hideous ones which showed up in magazines through the '70s and 80s. True! The original measurements are included with metric conversions. Another nice thing about old-fashioned recipes is that they tend to use basic, affordable ingredients. It's not one of those books where you need to buy a $50 cake tin or some obscure spices - most of these could be made with the ingredients that a lot of us have at home. The cooks of bygone eras didn't have much spare time or fancy equipment - therefore, you won't need too much of either to make this delicious food. I don't bake often, and I sometimes feel that I have too many cookbooks... but this is one that I will use again and again. 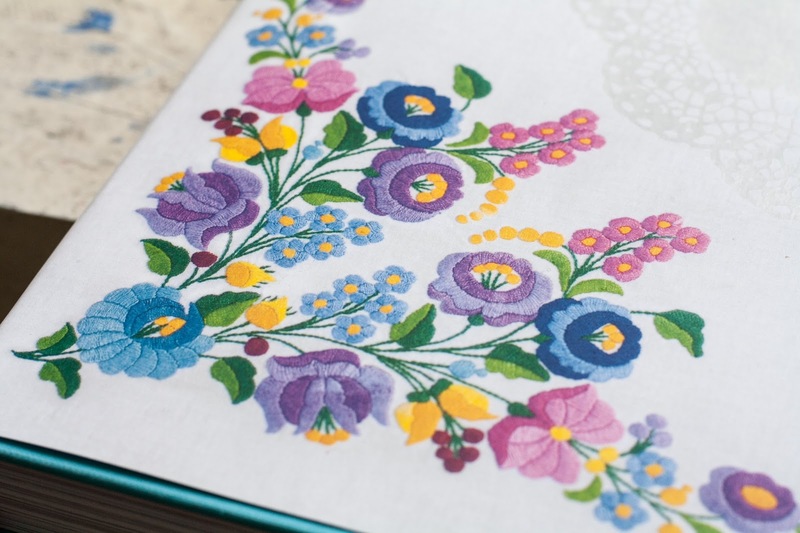 It's a published version of The Blue Cookbook, and I'll treasure it for years to come! Incidentally, my first recipe was the Viennese Chocolate Torte. It was from a book of recipes suitable for Passover, and uses nothing more than almond meal, eggs, and sugar for the cake itself. It turned out light and airy, and bodes well for trying something different next time. Exactly! The recipes were gathered from places like CWA cookbooks. 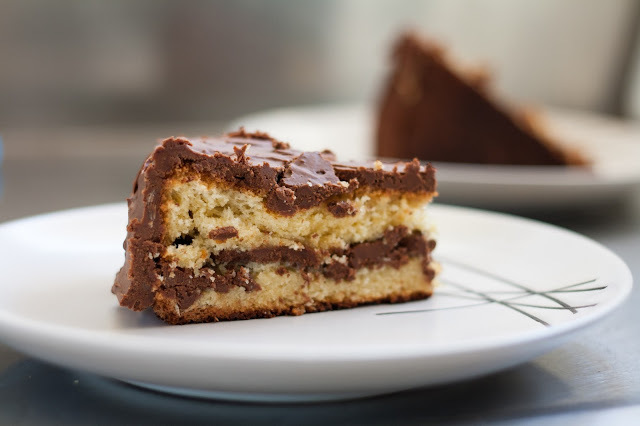 Simple baking done well is absolute bliss. Maybe Merrill is hoping for me to bring some baking next time we catch up (I might just do some 'practice baking' first)! What a GORGEOUS cake. I need another baking book like a hole in the head but this sure is appealing. Believe me, I have dozens of baking books as well. I find something very appealing about this one though - including the stories of the recipes and the women makes it a real journey. The bonus is that the recipes are simple and delicious! The cake and the book both look amazing! I love books like that; things that turn into cherished possessions are just lovely. I have been oogling this book since it came out but can't justify another cookery book. Obviously the subtle hints I dropped in the festive lead up were too subtle. Oh well. Enjoy the gorgeousness you make with it. I feel much the same about my current cookbook stash - but it was a wonderful gift. Aha - a book I must look up for those "bring a plate" moments. 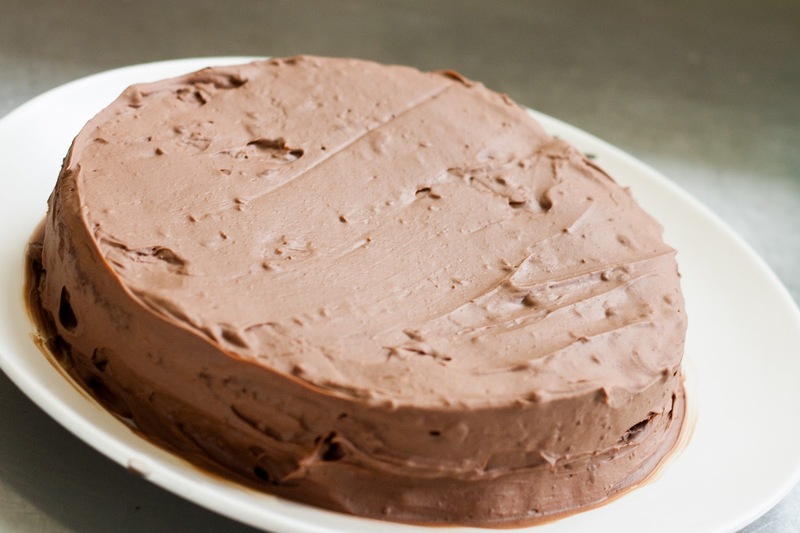 The chocolate torte looks yummy. That book looks ace! And such a pretty cover. My dad bought me the CWA/Weekly Times one last year with recipes along the same lines - plenty of chicken noodle and french onion soup mix used as their fancier spices! - and I love it to bits, especially the puddings. Actually, he didn't buy it. It came free with his newspaper subscription but he subscribed for the extra 2 days a week he doesn't normally buy the paper so I could have the book. My dad is about as ace as these books!